Henrik Stenson, left, and Justin Rose in Rio. They will play at the Zurich Classic. 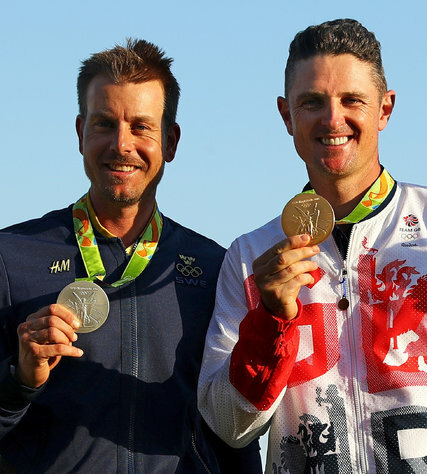 PONTE VEDRA BEACH, Fla. — Justin Rose and Henrik Stenson, the gold and silver medalists at this year’s Olympics, were among the first golfers to sign up for the Zurich Classic, the PGA Tour’s first team event since 1981. The tournament, to be held in April at T.P.C. Louisiana, outside New Orleans, will feature 80 two-man teams, and both players on the winning team will receive official credit for a victory, the tour said Monday.